GENEVA, May 19. /TASS/. 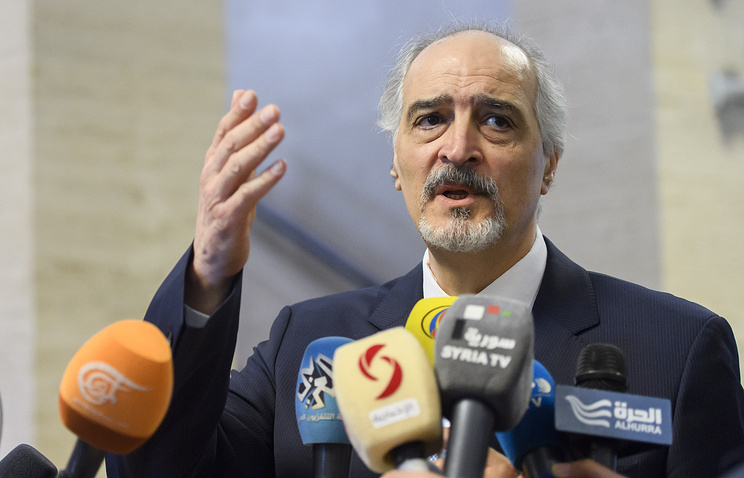 The claims on a crematorium at the Sednaya Prison near Damascus are "a big lie," Syria’s Ambassador to the United Nations and head of the government’s delegation at the intra-Syrian talks, Bashar Jaafari said. "It’s a big lie, Hollywood joke," Jaafari said. Jaafari noted that it’s no coincidence that these claims came a day before the latest round of talks began in Switzerland’s Geneva. This also happened ahead of talks in Astana and the meetings of the UN Security Council, he said. "These fabricated statements of the West won’t deceive anyone." The US Department of State said on Monday it has evidence that up to 50 prisoners have been killed in Syria’s Sednaya Prison complex daily and their bodies were burnt in a specially-built crematorium to ‘cover up’ the executions. Jaafari also called an airstrike of the US-led coalition on pro-government forces in Syria is a new act of Washington’s aggression. "This strike is the act of US aggression against Syria," Jaafari said. Jaafari noted that he discussed the US airstrike earlier on Friday at the meeting with Staffan de Mistura, the UN’s special envoy for Syria. As the US-led coalition headquarters reported, the aircraft struck pro-Syrian government forces operating within the established de-escalation zone northwest of al-Tanf. 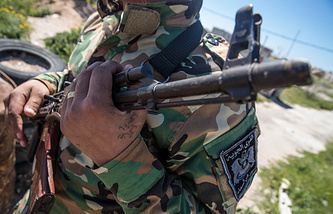 The statement claimed that these units posed a threat to the United States and its partners. Mechanisms on implementing the agreement on de-escalation zones in Syria have not yet been established, according to Jaafari. "The mechanisms on implementing the agreement have not started working so far," Jaafari said. Jaafari noted that the agreement on de-escalation "refers only to certain areas and does not cover the whole territory of Syria." On May 4, Russia, Iran and Turkey agreed to set up four de-escalation zones in Syria. Under a memorandum signed at the talks in Kazakhstan’s capital of Astana, these four zones include the Idlib Province and some areas in the neighboring provinces (of Aleppo, Latakia and Hama), an area north of Homs, the Damascus suburb of Eastern Ghouta, and a couple of provinces in southern Syria - Daraa and Al-Quneitra. In line with the memorandum, a joint working group was due to be set up within 10 days for defining the exact borders of de-escalation zones and working out details of carrying out monitoring of the ceasefire. The maps of the designated areas should be drafted by May 27.